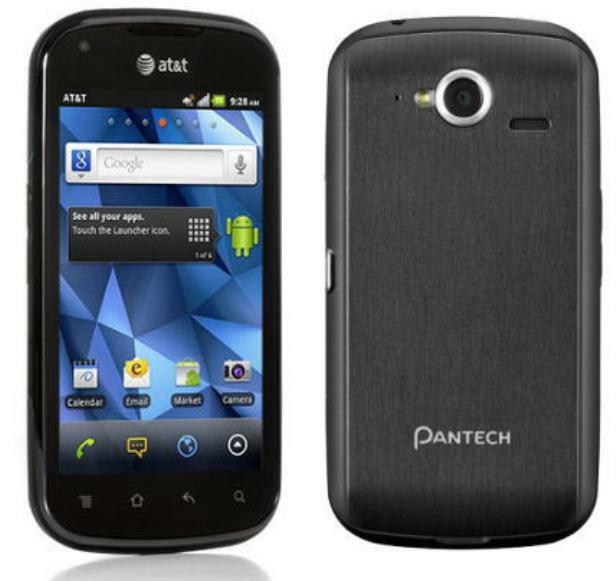 The Pantech Burst P9070 is another one of the smartphones released by Pantech Mobile in January 2012. If you own this Pantech Burst, and you’re experiencing an increased number of errors and freezes, it might be time to perform a hard reset. As it happens with most smartphones, restoring it to factory software will cause all the data on your phone to be erased. Although this is a very useful procedure, as it helps solve most software-related issues fast, you will need to back up your data. To avoid losing important information, we are going to take you through the necessary steps to make a backup and then show you how to master reset the Pantech Burst. The phone runs on Android OS and is equipped with a 5 MP primary camera attached with LED-flash, autofocus and geo-tagging. This phone’s primary, as well as the secondary VGA camera allow you to both take pictures and record videos. The Pantech Burst P9070 comes with an internal memory of 16 GB RAM and its micro SD card can be used to store additional data – up to 32 GB. While the phone comes with a dual-core 1.5 GHz processor, it has a Li-Ion 1650 mAh battery. Having a Wi-Fi hotspot, as well as Bluetooth 3.0, Pantech Burst allows access to a variety of applications such as YouTube, Calendar, Picasa, Google Talk, Organizer, Document Writer, Maps, Gmail, etc. Before learning how to reset your phone, you will need to make sure all important data is saved. To make a backup of all information, it’s indicated you use the PhoneCopy application that suits all phones running on Android. This one will guide you through all the necessary steps. Alternatively, you can opt for a Gmail account backup, which means you’ll be using Google to save your contacts and applications. To do so, you should go to Settings >> Privacy and uncheck the “Back up my settings” and “Automatic restore options”. Then go to Settings >> Accounts >> Sync and open your Gmail account – uncheck all options there. These settings will enable you to restore all your contacts, calendar, system settings and apps once you set up any other Android phone using the same Gmail account. I follow your instructions here, but the Android icon never shows up, instead it’s something called ClockworkMod Recovery v6.0.2.7 … when I click on the wipe data/factory reset .. it only gives me choices of “No” … I need help. Hello. Your phone has been modded, probably by the previous owner, and instead of the custom Recovery ROM that Android has, the phone is now running ClockWorkMod.This is basically a more advanced option, with different options. But, you should also have the factory reset option. As for the “why doesn’t the wipe works” question, I frankly don’t know. please help wen i insert the charger it shows the same screen as wen its booted. Will it erase all my music, picture, messages, notes and apps?